Leaders to hold a working meeting March 25 followed by dinner March 26, White House says. 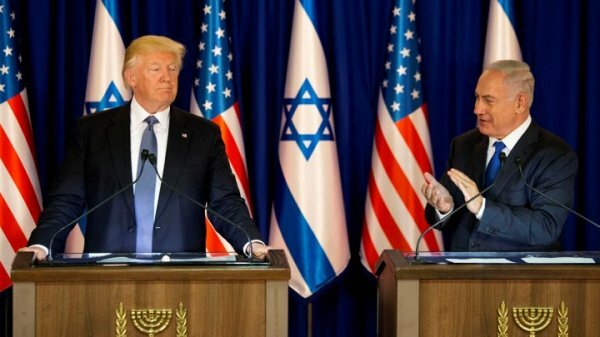 Donald Trump will host Israeli Prime Minister Benjamin Netanyahu for two days of talks at the White House next week ahead of Israel's parliamentary elections, the White House announced Wednesday. "WILL DISCUSS THEIR COUNTRIES' SHARED INTERESTS"
The meetings will begin March 25 when the leaders "will discuss their countries’ shared interests and actions in the Middle East," spokeswoman Sarah Sanders said in a statement. 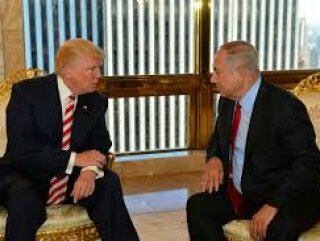 Trump will then host Netanyahu for a dinner at the White House on March 26. The visit comes ahead of nationwide elections on April 9 that are critical to the Israeli premier's decade-long hold on power. Netanyahu is facing a looming indictment for corruption following a years-long probe that spans three different cases. Should Attorney General Avichai Mandelblit choose to indict Netanyahu, it would mark the first time that a sitting Israeli prime minister is indicted. Moreover, Netanyahu has stirred controversy for forming an electoral alliance between his Likud Party's ruling bloc and the far-right Jewish Power (Otzma Yehudit) Party. Netanyahu's electoral gambit provoked an exceedingly-rare rebuke from the staunchly pro-Israel AIPAC lobbying group, calling Otzma Yehudit "racist and reprehensible" and throwing its support behind an also-rare statement on domestic Israeli politics from the American Jewish Committee. "The views of Otzma Yehudit are reprehensible. They do not reflect the core values that are the very foundation of the State of Israel. The party might conceivably gain enough votes to enter the next Knesset and potentially even become part of the governing coalition," the committee said.